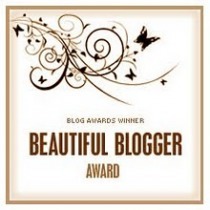 Thank you so much to Tracy at http://ohwhatapain.wordpress.com/ for the nomination. What a lovely surprise from a lovely person! 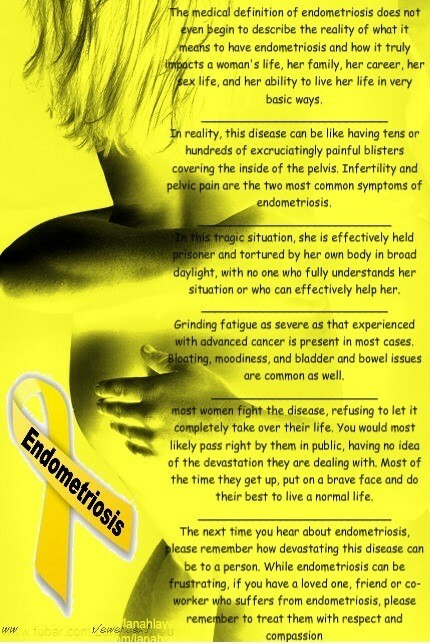 Her blog is very well written and inspiring to all those who live with chronic pain and manage to retain a sense of humour! Cannot recommend enough. 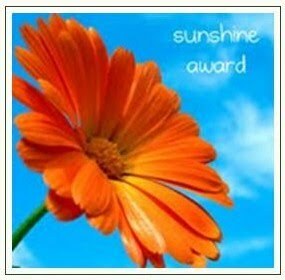 I am honoured to receive a Sunshine Award. It continues to astonish me that anyone even reads my random little thoughts on life. I decided to start this blog as a way of working through the confusing situations I find myself in as a young woman trying to fight a chronic condition while also striving for a somewhat ‘normal’ life. I have a fondness for penguins. Many due to the Penguin of Death who can kill you in any one of 412 different ways. I have quite a large collection of his memorabilia. 4. What are your facebook and twitter ? How boring but I keep my facebook and twitter separate from my blog, which is also why my name doesn’t appear here either. Just for the reason that I use this blog to be 100% honest with myself whereas with twitter I am always conscious of who knows me and reads it. I’d have to say 9pm. I have a rule that I don’t study past 9pm so that my chill out time. The best tv programmes are usually on at that time. 6. What was your favourite vacation? I’m not a major fan of physical activity but I have slight talent in archery (which I count as a sport). I also love dance games and remain unbeaten within my family in Wii dancing games. Chocolate milkshake every time. I once ordered one during a uni society meal at a posh Italian place and was applauded by my fellow diners. Tulips or giant daisies. Or anything bright pink. Yesterday, I had an after-work thing with Butter. It was quite unexpected. It wasn’t a date or anything but I was so giddy afterwards that I actually skipped for a bit. In public. I don’t know what came over me but on a random trip to the kitchen, I stopped by Butter’s desk and mentioned that I had a few hours to kill after work. I asked him if he was free to go for a coffee or something. A momentary flicker of surprise crossed his face. He quickly said yes and invited me to come round to his since he lives near work. It was at this point that I realised what I had said. Now, back in my Jam phase, I used to agonise for hours over how to casually suggest a casual cup of coffee with him. Casually, of course. I spent 9 to 5 planning what to say, practising how I was going to say it. I never worked up the nerve to actually do it. When I eventually asked by text, I got a polite brush off. Yet, there I was. Only days after I stayed late at work on Friday afternoon just to keep Butter company as he waited for a package to be delivered. I loitered and chatted for more than half an hour after everyone else had escaped to the pub. It was great to be on our own and not be constantly interrupted. Somewhere in the midst of our conversation he gave me his phone number. Yesterday afternoon passed in a state of anticipation. I was simultaneously impressed by my own spontaneity, excited about hanging out with him away from the office and anxious about how awkward it could be to go to his house. We would have to walk there with Jam to the house where they both live. Was it going to be just the two of us? Or would we be in a strange ‘friendzone’ trio? In reality, I needn’t have worried. At the last minute, a technical issue meant most of my team had to stay late to rectify it. That meant Jam. So, Butter and I set off together. We had a pleasant walk out of work, chatting away. I pointed out a milkshake place I had been to a few weeks ago with a nearby gym that had a balcony. It had proved quite hilarious to sit and drink milkshakes while watching poor souls lunge and squat just across the street. He suggested we go there. I went on ahead as he popped into his house, literally a stone’s throw from said milkshake place. He, for some inexplicable reason, got changed. We sat for over an hour talking. It was really nice and really easy. There were a few quiet moments, mainly when we were both too interested in our milkshakes but it didn’t feel awkward. It was great. When we parted, I had to go to a friend’s, he was going to football, I contemplated hugging him. I didn’t, a huge group of people on their way to a gig came at us at that precise moment. I walked slowly back to my car. I was grinning to myself and had that giddy feeling I haven’t felt in a long time. It wasn’t a date but it was the closest I’ve had in a while. Caught up in my own head, I forgot myself and skipped a few paces. My phone beeped. Still, grinning I checked it, assuming it was my friend I had been texting earlier. It was a tweet from my Fairy Godmother. Thanking me for covering her shift in work and saying I was such an awesome friend. Tiny bubbles of guilt fizzed in my giddiness. I haven’t spoken to her about this whole thing yet. Nothing had happened between Butter and I. But I still felt guilty. I had asked him on a pre-date. Surely that’s a violation of the code of sisterhood. She told me a week ago that she was over him. She still has no idea of the feelings I’ve realised I have. I’m seeing her on Friday and asked if we could meet up before the scheduled event (a treasure hunt) to catch-up. I have to tell her how I feel. Nothing can happen until I do. Nothing might happen anyway. I just have a feeling… Our paths haven’t crossed much in work today but I caught him glancing at me repeatedly while talking to someone a few desks away. Daydreaming early, I imagined how our goodbye might have been if I had just hugged him. The giddiness is back. I just need it to de-carbonise. I can’t believe I’m even thinking this but I’ve been mulling it over in my head for the last few days. I think it might be time to call it a day and let the sun go down on my flirtationship with Jam. Last week, I asked him out for coffee. He had to work late that night and so asked if we could reschedule for this week instead. I managed to wear down my boss by constantly annoying him and wangled my way into getting a couple of hours of work. (Result!) I saw Jam on Monday for a few hours and I’m currently sitting facing him but nothing has been mentioned about it. I think the fog-crush has lifted a bit. I’m beginning to think that maybe all those little things that he’s said or done that I got excited about haven’t been signs that he liked me at all. He is a really nice guy and he is positively lovely to everyone so him being so nice to me perhaps wasn’t such a big deal. And anyway, since my return to work someone else has been a lot nicer. Butter instantly asked me how I am after surgery and, although he doesn’t know the technical details of my health problems, was asking me all sorts of questions about what happened and my future treatment. In my experience, its only ever my closest friends that care enough to ask in-depth questions because they want to try to understand what you’re going through. The fact that he had picked up on little things I’d mentioned on ‘bad days’ and was genuinely concerned when I had a ‘really bad, nearly ended up in hospital, mascara all down my face’ day, really surprised me. No one in work has ever really strayed into the sticky subject. Except, of course, my Fairy Godmother. Ah. The Fairy Godmother element. I could never be the girl who goes for a guy her friend has a thing for. I don’t even know if I necessarily want to pursue this intriguing new aspect of my love life. The rumours are rife that Butter is fond of me and there was that time he asked me to come with him and Jam to the cinema. I didn’t know what, if anything, I wanted from him. Then last night, after a weird date with Lucius that involved a moonlit walk singing Disney duets, I dreamt about Butter. The details are hazy but we were definitely together and I was really happy. Dreams, of course, don’t mean anything…though, my first boyfriend when I was 15 was the result of me having a dream about him, telling a friend who then gave him my number. I came into work this morning in a new dress I’ve only worn once before. I told myself it was to distract from the fact that my hair needs washed. But I had a jittery anticipation in my tummy. I really wanted to look pretty today. Then, Jam arrived and greeted me. I realised that the jitteryness was still there. Before I really digested this, I heard that Butter is off sick today and I felt a wave of disappointment crash over me. Now I’m trying to work out exactly what is going on in my Tramadol-filled head. Yesterday, I considered drawing a line under the Jam episode and start trying to move on. Last night I had a great evening with a friend and even noted when he kissed me goodnight how easier things would be if I had feelings for him. During the night, I dreamt about another guy and woke up happy. Today, I just don’t know anything. I am now, to all intents and purposes, unemployed. It was only a part time job but I’ve worked there for nearly two years and I’ve always loved my job. For some reason, I was excluded from the latest rota and when I asked why I was told that there simply isn’t enough work for everyone at the moment. Last week I begged for some hours but was again refused. I don’t know what I’ve done wrong to warrant such treatment. I am far from impressed. As I’m a ‘glass half full’ kind of girl, I’ve decided to look on the positives. First of all, I have more time to work on my dissertation. I sent the first chapter of it in on Monday. 6,000 words. As unbelievably geeky as it is, I quite enjoy my research and I loved weaving it together to tell a story no one has heard before. Secondly, I will be okay financially because I know that come September I’ll be bringing in a steady salary with my PhD studentship. I’ll get paid at the end of August for the few days I worked in July so its only really the end of August and beginning of September which will be tough. But I’ll cope. I’ll cut back, no more magazines or fancy coffees. I’m not going to be a Scrooge or a hermit. I’ll still hang out with friends doing cheap things, crazy Tuesdays cinema outings with sweets from Poundland, movie nights at my house. I’ve also taken on another tutoring student so that’s a little bit extra income. I’ve arranged for my direct debit to be temporarily reduced. And, most impressively, I finally managed to chase up the prize money for an award I won in March but never received the cheque for. So, all things considered, I will manage. Thirdly, and the most petrifying, I have been forced to do something about my confusing, stalling love life. The last month or so has been quite bewildering as I’ve found myself in a bizarre love square. The original situation was that I liked Jam and my friend, Fairy Godmother, liked his friend, Butter. I am friends with both guys, although I find it easier to talk to Butter. Then the office was buzzing with the rumour that Butter liked me. Even Fairy Godmother suggested it. The week before my operation, Butter invited me to the cinema with him and Jam. I already had plans but what an awkward situation. I have grown rather fond of Butter but I have had a crush on Jam for months so I think that I should persue that line of inquiry before even considering what to do about Butter. I’ve been telling myself that I couldn’t ‘make a move’ on Jam or even hint that I liked him as more than a friend because we work together and it would be awkward if he didn’t feel the same. That’s not really an issue anymore. So, last night, after thorough discussion, I texted Jam to tell him that I had some time to kill between researching and meeting some friends to see The Dark Knight Rises on Thursday (tomorrow) and would he fancy meeting up for a coffee or something after work. He hasn’t replied and I don’t feel very confident that it’ll be a positive outcome. But I think it’s better to find out exactly what is going on with him before addressing the Butter problem.